Home Posts tagged "2017 Supportive Housing Network of NY Project of the Year Award"
This LEED Platinum project is 63,000 sq. ft. and it has rooftop solar panels. 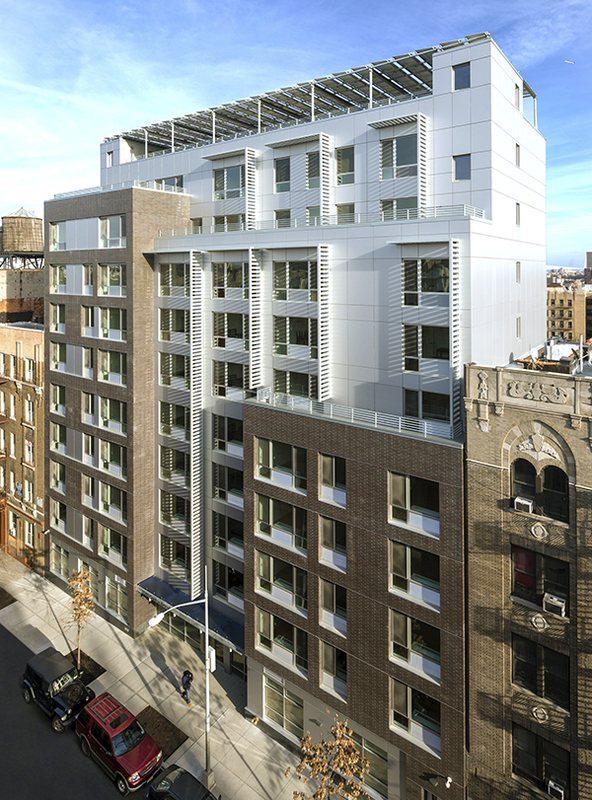 The Creston Ave., Bronx, NY building consists of 66 affordable apartments built by Sisca. The building was the Recipient of The Supportive Housing Network of NY 2017 Project of the Year Award.